A set of two natural, certified organic deodorants. 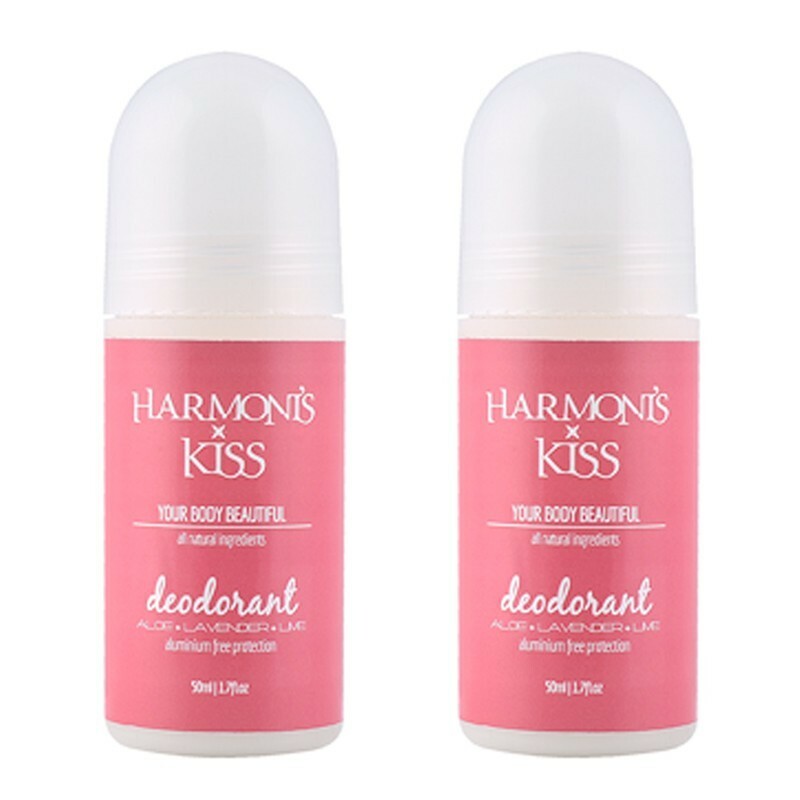 Safe and non irritating, yet an effective alternative to chemical and aluminium deodorants for young girls. Sweet citrus floral scent. 50ml roll on. The powerful astringent, antiseptic qualities of witch hazel & citrus in combination with lavender hydrosol & essential oils create a delightful, effective deodorant. Aloe vera soothes & heals, & when whipped with sodium bicarbonate provides unrivalled protection. This unique formula conditions your skin as it works to provide a safe and non irritating, yet effective, alternative to chemical deodorants. Aloe Vera Leaf Juice, Witch Hazel Extract, Glycerine, Ceteayl Olivate, Sorbitan Olivate, Sodium Biocarbinate, Guar Gum, Zinc Oxide, Lime Oil, Orange Oil, Lavender Flower Oil, Frankincense Oil, Sweet Fennel Oil, Rose flower Oil, Fragrance (plant based). Harmoni's Kiss provided a statement that the Glycerine used in their range is derived from Coconut saponification.